Dealing With Anxiety – Can Essential Oils Really Help? Do you or a loved one experience anxiety? Anxiety is in many ways is a completely normal, and often healthy response to stressful situations in life. If you’re feeling anxious before you’re about to give a speech to a large audience, while boarding a plane on a particularly stormy day, or walk past a large and growling Doberman Pinscher who has just broken free from their chain, the heightened anxious feelings can almost be expected. Your brain and body are essentially responding in a “fight or flight manner” that is attempting to protect you from danger. In these cases, when the stressful event has passed, you should return to balance. If you don’t… This is where anxiety becomes problematic. If you’ve been suffering from severe anxiety, lingering fear and even panic from normal, and seemingly un-stressful life events like going to the grocery store, or picking your kids up from school, your brain and body are essentially perceiving normal situations with the same “fight or flight” response as if you were trapped on a life raft on stormy seas and circled by hungry sharks! … But in reality, there is no real threat to your well-being. A series of really stressful and emotionally charged events can have a way of subconsciously programming your body with the anxiety response. So then even after you make it through the stressful time, you still respond to life in a stressed out and anxious way. Your body is essentially on guard and hyper-ready to take on the next stressful experience… Which creates stress and anxiety. This is a dangerous loop, as the constant “fight or flight” response and stress hormones wreck havoc to your nervous system over time… Not to mention leave you feeling anxious, frazzled, and maybe even unable to function in some cases. Since anxiety is a result of this constant fight or flight response being triggered, its essential to teach the brain and body to respond to life experiences in a new way. Present moment mindfulness is one of the best ways to accomplish this. Really staying focused in the present moment for 20-30 each and every day can work wonders for brining your brain and body into a relaxed, present and open space. You’re literally rewiring your response to life during meditation, so that when you do again encounter stressful situations you can respond in a new present, grounded, and centered way. 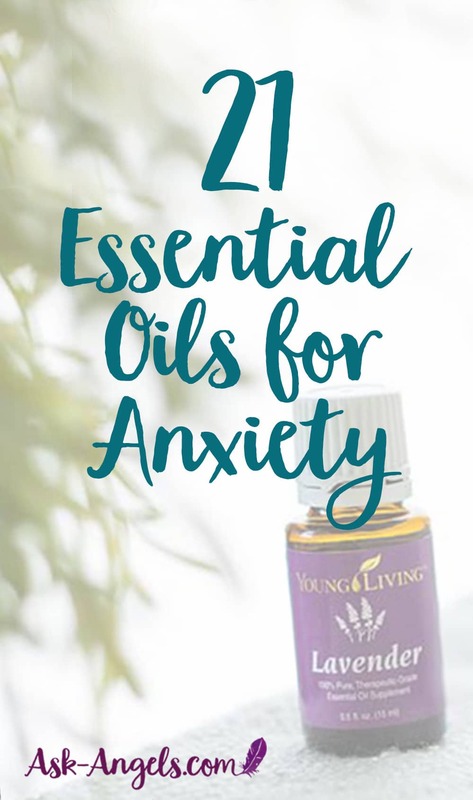 The other incredibly helpful tool for managing anxiety as it happens, recovering from stress, as well as training yourself to respond to stressful situations differently is essential oils. 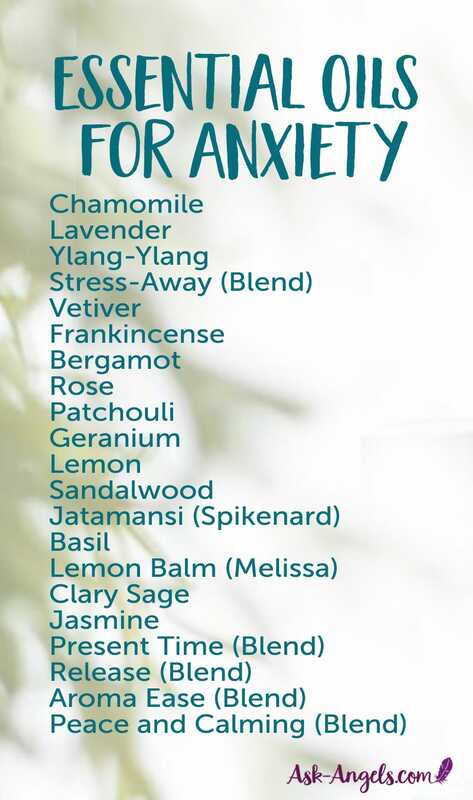 There are many essential oils to choose from that can help you to release stress and anxiety, sometimes in an instant. 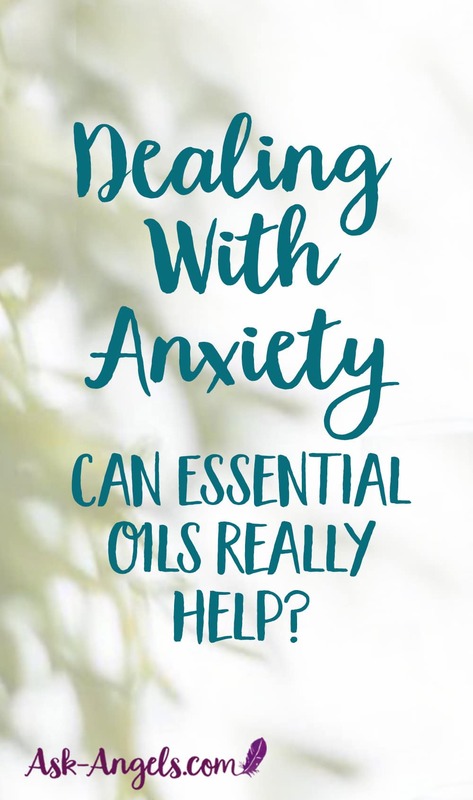 In case you’re interested, there have actually been scientific studies proving the positive effect aromatherapy and essential oils can have on anxiety. Check out one of these studies here. Essential oils work to help you recover from, combat or prevent anxiety by helping your brain and body to relax. Going back thousands of years, Chamomile has a long history of use as an herbal remedy for its calming effect on the mind and body. With its soft, flowery aroma, chamomile encourages feelings of peace and relaxation when inhaled. Lavender is universally loved and is one of the most commonly used essential oils for its calming and relaxing properties. Lavender helps to ease feelings of tension, release anxious feelings and bring about positive feelings and self-awareness. Ylang-Ylang helps to promote a sense of peace, relaxation and confidence with its rich floral scent. Used to relax both the body, mind, and spirit Ylang Ylang is perfect for easing frustration, tension and occasional anxiety. Stress-Away is a blend of Copaiba, Lime, Cedarwood, Vanilla, Ocotea, and Lavender. As its name may imply, stress-away is a great choice for dealing with anxiety as it promotes mental wellbeing. Vetiver is an oil that has been used in Ayurvedic practices for centuries. In India and Sri Lanka, it’s known as the oil of tranquility. It has an earthy and grounding aroma that brings about a sense of calm and relaxation. Frankincense is highly revered for its uncanny ability to bring about a sense of inner strength along with feelings of peace and spirituality. Frankincense can provide soothing support for your entire being, mind, body and spirit. It is calming while also being uplifting as it gently and powerfully relaxes fried nerves and helps you to tune into the power of the present. Wonderful to elevate your meditation, and fully enter into the present moment. Bergamot has a soothing and calming aroma that can help to restore a sense of balance and harmony in the moment. It may soothe and calm the nervous system creating a sense of relaxation. Rose is one of the most expensive essential oils on the market due to the massive amount of rose petals required to create it. That being said it is also one of the highest vibrational oils available. Rose oil is emotionally uplifting, and promotes feelings of love, and relaxation as it gently guides you to get out of your mind and into your heart. Patchouli brings about a sense of calm, peace, and relaxation. Perfect to diffuse to promote a loving atmosphere, patchouli also works well to help you stay grounded and to balance your energy and emotions. Geranium brings about peaceful feelings of contentment. Its rose like scent can help to invoke your spiritual power in the present to overcome challenges, and respond to life with grace and ease. Lemon is a very uplifting scent whose fresh and zesty aroma may help to improve your mood and bring about a cheerier disposition. Sandalwood is a mood enhancer with both grounding and spiritually uplifting properties. Grounded spirituality. Diffusing or inhaling Sandalwood can help you to release tension and return to a place of emotional balance and wellbeing in the moment. Spikenard promotes peace, calm and relaxation. It will help you to ground and center so you can respond to life from a relaxed and present place of being. Basil is said to promote mental clarity while lessening occasional anxious feelings. Great for releasing stress at the end of the day, or in moments of stress as needed. Melissa is renowned for its ability to promote emotional health by easing tension and calming frayed nerves. Diffuse Melissa to invoke a sense of relaxation, promote restful sleep and to ease and calm the nervous system. Clary Sage is one of the most relaxing and calming scents. Apply to your wrists, bottoms of feet, or even add to bath water for a relaxing and stress-relieving experience. Jasmine has a rich and alluring aroma that is emotionally balancing and alluring. It helps to evoke feelings of peace, joy, sensuality and self-confidence. Present Time is a blend of sweet almond, bitter orange, Black Spruce, and Ylang Ylang. Present Time helps you to release past stress, and focus your energy and awareness on the present moment so you can let go of what has been and move forward from the now. Relase is a blend of Ylang ylang, Olive, Lavandula, Geranium, Sandalwood, Grapefruit, Tangerine, Spearmint, Lemon, Blue Cyprus, Davana, Kaffir lime, Ocotea, Jasmine, Chamomile, Matricaria, Blue tansy, and Rose oil. The relaxing scent of release will help you to let go of stress, anger and frustration to return to a place of harmony and balance. Aroma Ease is a powerful blend of Ginger, Cardamom, Peppermint, Fennel, and Spearmint that has help to calm nerves and promote relaxation. Apply to your feet and abdomen to balance your energetic flow, or diffuse to promote an overall sense of relaxation. Peace and Calming is a gentle and sweet blend of Ylang Ylang, Orange, Tangerine, Patchouli, and Blue Tansy. Peace and Calming will help you to create a calm and relaxing environment so you can unwind and return to a place of peace. The above oils and blends are all available from Young Living.